The trademark of CODA, "CJ Mark," is printed on packages of Japanese contents and products such as music, films, animation, TV programs, video games, toys, and books. In the case of audio-visual works, the trademark also appears on them. CJ Mark is registered in 7 different countries and regions that include Japan, the United States of America, EU, China, Hong Kong, Taiwan, and South Korea. 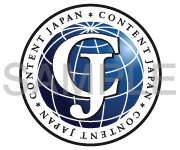 If any pirated copies of Japanese content get distributed with CJ Mark in any of those countries or regions, we can take more extensive measures against the infringer by exercising our trademark right in addition to the copyright of the rights holder of the respective content. In fact, CJ Mark has successfully been put in use to take criminal actions in Hong Kong since 2008. Our corporate members can make use of CJ Mark once they sign a trademark licensing agreement with us.